Beekeeper and owner of Farmgate Honey, Murray Arkadieff, may well have pollen in his blood. Following in the footsteps of his parents, Murray was the proud owner of his own smoker and hive tool at the tender age of ten and many years and thousands of stings later he’s still holding on. Murray says roughly one-third to two thirds of the food we eat is required to be pollinated by bees, a fascinating fact that drives his interest in the field. Appearing on our shelves and menu at Plenty come November, Farmgate Honey’s range of all natural products definitely stray beyond the usual fare. Perhaps the most inviting offering is their fresh-from-the-hive comb honey. “We produce a lot of comb honey and sell it still in the frames, It has a lovely taste and a delicious chewy texture,” he said. 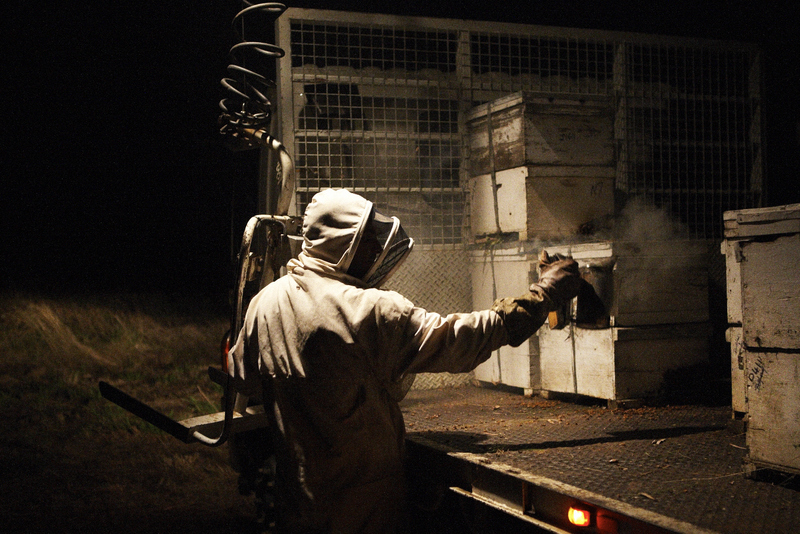 Murray and his team run over 1200 hives within an 800-kilometre radius of Brisbane, travelling thousands of kilometres every year in pursuit of honey flow. 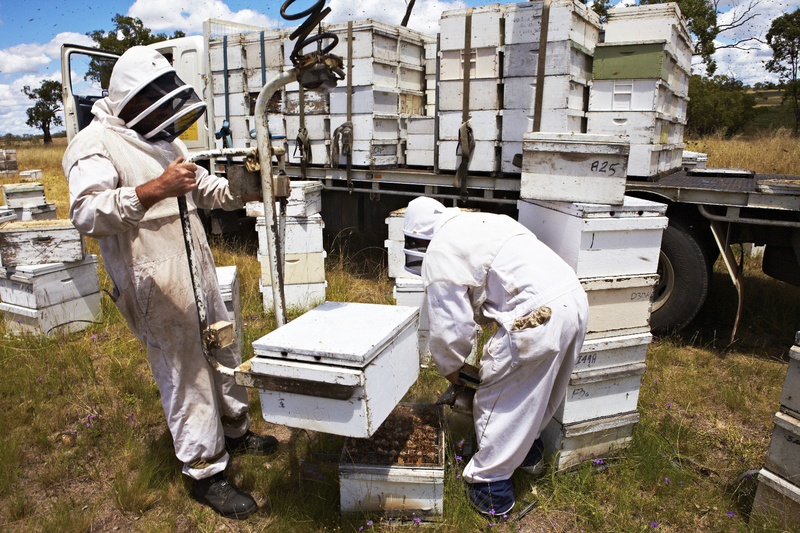 “A lot of people see beekeeping as just an old man in his backyard working a couple of hives but for us we’ve got three workers, big trucks and we are out in the bush for days at a time camped in swags,” he said. These variables make for a complex and flavoursome honey that can change from season to season while maintaining a consistent quality. Producing roughly 100 tonne of purely natural honey a year, Murray and his team are expert beekeepers and expert honey wranglers. “The honey comes from the bush, it’s all Australian and we work hard to get it,” he said. Plenty West End, Know Your Farmer. November 2013.